A hi-tech padlock secured with a fingerprint can be opened by anyone with a smartphone, security researchers have found. 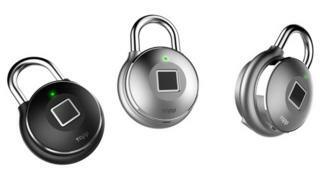 On its website, Tapplock is described as the “world’s first smart fingerprint padlock”. But researchers said it took just 45 minutes to find a way to unlock any Tapplock. In response, the firm acknowledged the flaw and said it was issuing “an important security patch”. In a blogpost, security expert Andrew Tierney from Pen Test Partners (PTP), outlined how he had hacked the lock. He said he was “so astounded” by how easy it was that he ordered another lock in case his first attempt had been a fluke. The lock’s software does not take even simple steps to secure the data it broadcasts, he said, leaving it open to several “trivial” attacks. The “major flaw” in its design is that the unlock key for the device is easily discovered because it is generated from the Bluetooth Low Energy ID that is broadcast by the lock. Anyone with a smartphone would be able to pick up this key if they scanned for Bluetooth devices when close to a Tapplock. Using this key in conjunction with commands broadcast by the Tapplock would let attackers successfully open any one they found, said Mr Tierney. In response, Tapplock said in a statement that it was issuing a software update. “Please be attentive to update your app once it becomes available to your region. We highly recommend you also upgrading the firmware of your locks to get the latest protection. It thanked PTP for alerting it to the issue. Canadian firm Tapplock raised more than $330,000 (£247,000) on crowdfunding site Indiegogo after being featured on Dragons’ Den Canada. The funding helped develop the Tapplock One which has been widely featured on gadget sites and has won an international design award. Tapplock One owners, according to its creators, need no longer remember combination codes or keys to unlock a padlock, but instead can just swipe with a finger. In addition, the lock can be managed via a smartphone so it can be opened remotely to let other trusted people get at whatever it protects. Mr Tierney became interested in testing Tapplock’s claims after he saw YouTuber JerryRigEverything defeat its physical security. The YouTuber found that the back of the padlock could easily be removed to let attackers unlock the device. However, this weakness was traced to faulty manufacturing and a subsequent test showed other locks were safe from this type of attack. Rather than investigate the lock’s physical design, Mr Tierney looked at the software it ran to manage who can use it. “Shocked” by what he found, Mr Tierney contacted Tapplock who said they were aware of the flaw. The company was given time to correct the problem before the firm he works for went public with its findings. He urged the smart lock firm to warn customers about the problem.